A screen shot of the Craigslist site. Craig Newmark launched the website that bears his name in 1995. Since then, Craigslist has turned the classified ad market upside down, draining billions of dollars from newspaper coffers while saving consumers a mint. However, consumers have also lost plenty of money through Craigslist, typically falling for one scam or another that has extracted hundreds, sometimes thousands of dollars from them. Here’s a sample of the Craigslist car scams that have been perpetuated and how best to avoid each one. Craigslist Car Scam No. 1 — Out of area buyers. The Craigslist people confirm that nearly all scams can be avoided if people would only deal locally. One particular car scam has it where an individual promises to ship a vehicle to the buyer and doesn’t follow through. Further, that individual asks to have payment wired to them before the car is sent. Under this scenario you will get neither the car nor your cash back. Craigslist Car Scam No. 2 — A deal that is simply too good to be true. Most used cars are priced according to Kelley Blue Book or NADA Car Guide values. When shopping for a car, find out the make, model, model year, trim level and mileage. Then, plug that information into the KBB or NADA sites and you should find a figure that’s close to the published value. Anything that is priced much less should raise your suspicions — it might have been in an accident, damaged by a flood or the odometer may have been rolled back. Craigslist Car Scam No. 3 — VIN cloning. Every vehicle built over the past six decades has a vehicle identification number or VIN. You can find the VIN on the dashboard and usually on the driver side door post. Other locations include in front of the engine block, in the rear wheel well and underneath the spare tire. These numbers must match wherever they are found. Even so, you should order a vehicle history report to uncover possible VIN cloning where a number from one car has been transposed to another vehicle. (Here is an excellent article that details the limits and sometimes the pitfalls with vehicle history reports — Limitations and Problems with Carfax or any Vehicle History Report). Craigslist Car Scam No. 4 — Payment problems. The best transaction when buying or selling a car is cash. As long as the bills are legitimate, the transaction can be completed without a problem. But problems will arise if a cashier or certified check is used — both types of checks along with money orders can be forged. If the buyer doesn’t have cash on him, then go with him to his bank and have him withdraw the full amount and hand those bills to you. Craigslist Car Scam No. 5 — Payment cheating. Another payment scam involves sending money via prepaid debit card. Here, the seller may say that the car is in storage and can be released once payment has been sent via a prepaid debit card, such as MoneyPak. With MoneyPak, all you have to do is give the seller the card numbers and that money can be removed at once. Again, avoid any kind of transaction that is conducted remotely or one that doesn’t insist on cash. 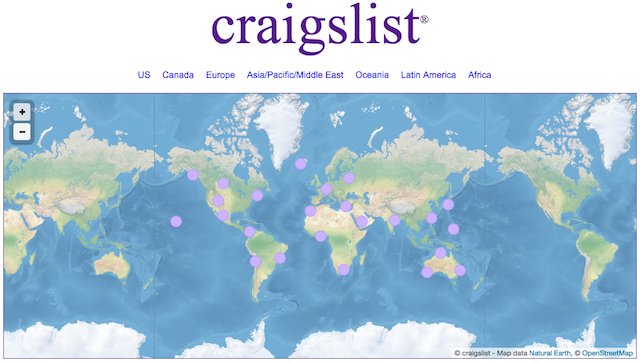 We’ve only looked at the more common scams associated with Craigslist. Please don’t take this article as a slam against, Craigslist. Instead, it should underscore that the site is extremely popular and where the crowds are, the scammers will most certainly follow. Lastly, never give out your personal financial information when dealing with anyone through Craigslist. That means keeping your bank account, Social Security Number, Paypal account, and other information private. Share even a tidbit of information and the savvier among the shysters will find a way to purloin your hard-earned funds. Owners of Ford F-150, Chevrolet Silverado, Ram 1500, Nissan Titan, Toyota Tundra and GMC Sierra pickup trucks know that these vehicles are prized models. Ideal for their room, payload and towing capacities, large pickup trucks are also prized by thieves and may be stolen, chopped up and the parts shipped reused elsewhere. The National Insurance Crime Bureau or NICB has been tracking vehicle thefts for decades and recently evaluated data involving truck tailgate thefts. The results of that study have been released and offers some important facts about tailgate thefts that just might surprise you. The NICB reviewed data going back to 2006, discovering that tailgate theft insurance claims have risen dramatically in recent years. Its data looked at insurance claims from Jan. 1, 2006 through Sept. 30, 2012, with just 23 reports of thefts from 2006 to 2009. Beginning in 2010, thieves began to concentrate on swiping tailgates, what the Detroit News reported as an easy target, just like truck hubcaps. In 2010, 430 insurance claims were filed, rising to 472 in 2011. Although 2012 data is not yet final, the NICB estimates that 557 claims were filed last year, for an increase of nearly 20 percent. The data reveals that only the tailgates were stolen such claims were not part of a full theft report. The NICB report pulled data from 45 states and found that Texas had the most reports of stolen truck beds, with 451 claims filed. Thats about one in three claims or 34 percent, followed by California with 272 clams and Arizona with 125 claims. Put together, these three states comprised nearly two-thirds of all claims. The NICB also found that the most claims by cities are made in Houston, with 96. San Antonio followed with 70 with Dallas, Phoenix and Fresno, Calif., rounding out the top five cities. About 10 percent of the insurance claims had no city listing, suggesting that the numbers for some locales were actually higher. Like hubcaps, pickup truck tailgates can be stolen in under 30 seconds. That speed alone makes tailgates an opportune and lucrative target for thieves. And unlike hubcaps, truck tail gates typically do not require the use of tools to remove. To avoid becoming a theft statistic, the NICB advises that owners use an integrated lock if one is included. Most thefts occur because tailgates were not locked. If your tail gate does not come with a lock, installing one is a low cost investment, something you can install yourself. You can also make it difficult for thieves by parking your pickup truck so that thieves have difficulty accessing the tail gate. For instance, you might consider backing the truck up as close to a wall or other stationary object as possible. Also consider etching the vehicles identification number into the tailgate, a move that will make it easier to identify if it is hawked on the open market. Use your own identification markers as well, documenting that information when you file your loss report. If your truck tailgate is stolen, replacing it does not come cheap. The NICB estimates that tailgates cost about $1,200 to replace, depending on the make, model and color of the vehicle. That price, however, can cost much more if a tailgate camera or other electronic device is embedded within it. Such outfitted truck parts will cost you about $3,600 to replace, which may explain the rise in claims. Such cameras began to appear on pickup trucks just over the past few years, giving thieves an even greater reason to make off with these tail gates. Truck owners should be aware that thieves are targeting personally owned pickup trucks in far greater numbers than commercially owned vehicles. Roughly 90 percent of all tailgate thefts are for privately owned vehicles, suggesting the ease by which thieves have found such thefts to be.